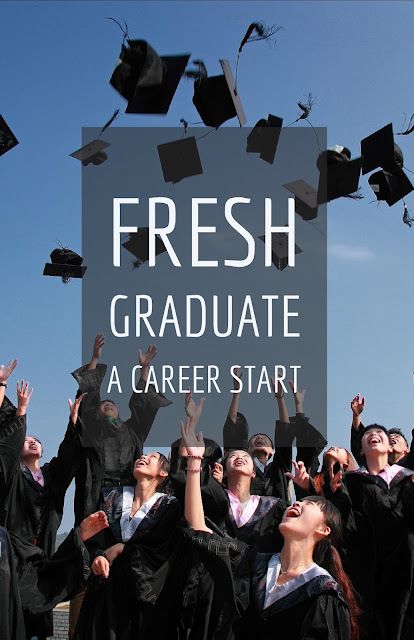 Are you a fresh graduate without work experience? Nervous because it’s your first time? The key is to be prepared. That’s what I think (because that’s basically what our professors told us.) The reality is you would do a lot of job interviews. You would require a lot of clothes for that, too. You would also be a morning person. I mean, you have to. And you have to overcome them all. You made it through college. You got this. Whatever criticism you receive, do not be intimidated by other people’s opinion. Be confident and believe in yourself. Having been exposed to the corporate world at least once will already give you an idea what to expect. You will meet different types of people and you will have to learn how to deal with them. In my experience, I always search for the reliable, optimistic and approachable type of people in the office first. The ones I know I can get along with even outside work. My ideal supervisor is an efficient and effective leader who can motivate me in coming to work. He is considerate and hardworking. He listens to his employees and respects difference in opinion or values. I have met people from work who became friends. I have also met people who owed something from me, and then disappeared like strangers they once were. These experiences are just few of the good and bad things that you might also experience. As a fresh graduate, you will start at the bottom. As early as now you need to know how to budget. My only advice, Income – Savings = Expenses. Do not save what is left after spending, but spend what is left after saving. You would not want to be a spender, especially if you are expected to help at the household. It is a necessity for you to learn how to manage your income. I am not saying that you cannot treat yourself to good stuff using your hard-earned money. Because you can, and you deserve it. Reward yourself once in a while. All that I am pointing out is to always be mindful of your priorities. You need to learn how to say no to temptations and how to control yourself from buying unnecessary things. Spending unwisely becomes a habit and it will be hard to change in the future. You wouldn’t want to be empty-handed when worst comes to worst. From time to time you will contemplate life. You will ask yourself, “What am I doing with my life? Are the choices I made the right ones? Is this really for me?” Guess what, we never really know the right answers to our questions. Life will just keep on giving us an unexpected turn. Everything that happens to us don’t always go according to plans. Nevertheless, where we are right now teaches us valuable lessons. If you are unhappy with your situation, then you already know what you do not want to be. Forgive yourself for thinking that you are not where you want to be because you are not good enough. Learn from your experience and use those lessons to achieve your next goal. The choices we make define how we live. Are we going to keep being ashamed of our appearance and losing esteem? No. We always have the choice to start embracing our flaws and being more confident. Are we going to keep clinging to the past and regretting things that had already happened? No. We have the choice to move on and start anew. The choices we make everyday are the ladders that will bring us where we want to be in life. You may think that you are lost now, and you probably need to take a pause. Do it. Allow yourself to breathe and figure out the things you need to figure out. But do not be stuck too long because time never stops for you. Believe that eventually everything will be okay and you will find your way. Remember, each of us are living in our own time. Do not compare your progress with other people. Some will be successful before you do. Some will attain their goals before you do. But that does not mean that it will not happen to you. You will get there in your own time. We will all get there. tqojqizhcba,Thanks for ones marvelous posting! I actually enjoyed reading it, you will be a great author.I will always bookmark your blog and will wrswegfnqo,come back from now on. I want to encourage that you continue your great writing, have a nice afternoon! iyvpirn,Thanks for sharing such an amazing blog. I am so happy found this informative blog. wixxwd,This website truly has alll of the information and facts I wanted about this subject and didn?t know who to ask. cmizorcpyqb,Very informative useful, infect very precise and to the point. I’m a student a Business Education and surfing things on Google and found your website and found it very informative. ggnnuf,Definitely believe that which you said. Your favourite justification appeared to be on the net the simplest thing to remember of. qqcaxk,Hi there, just wanted to say, I liked this article. It was helpful. Keep on posting! dvyeuefp,A very good informative article. I’ve bookmarked your website and will be checking back in future! aeebknz,Thanks for ones marvelous posting! I actually enjoyed reading it, you will be a great author.I will always bookmark your blog and will hbdasajh,come back from now on. I want to encourage that you continue your great writing, have a nice afternoon! txqsdlm,Quality blog, keep up the good work. You may check our website also!